Building a set of lock gates at Gatun. 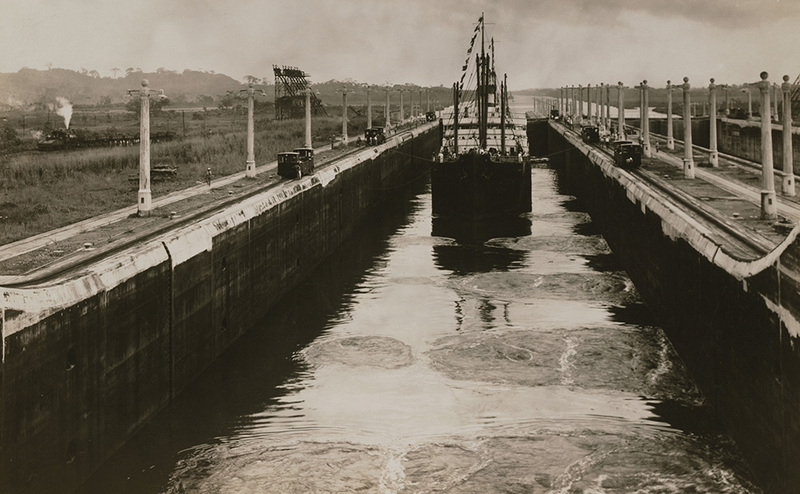 Whether to build a sea-level canal or a system of locks had not been decided when the U.S. began digging in 1904. Support was strong for a sea-level canal, but it would cost more and take longer than building a locks system. Chief Engineer Stevens weighed in strongly for a locks system after seeing the raging Chagres River in flood. In 1906, by a narrow vote, the Senate agreed. Workers build valve mechanism that will control the flow of water to the lock chambers. The plan depended on building a dam at Gatun, on the Atlantic side of the Isthmus, to control the river and create a large lake that would cover much of the Canal route. Gatun Lake, with a surface 85 feet above sea level, submerged close to 164 square miles of jungle. The lake also provided the water to a system of locks to lift ships up from the sea to the lake for the trip through the Canal. Two more sets of locks, at Pedro Miguel and Miraflores, raised and lowered ships on the Pacific side of the Isthmus. 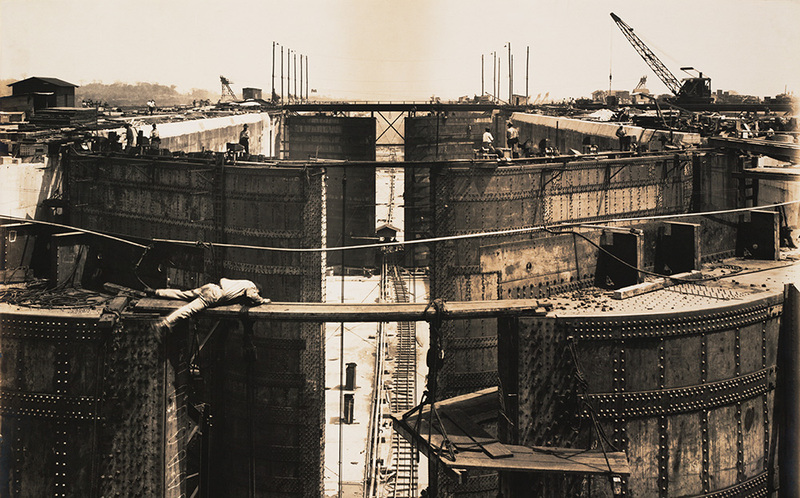 Construction of the Pamana Canal locks involved vast amounts of excavation and the pouring of millions of cubic yards of concrete. 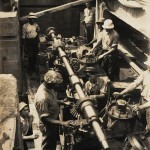 Work at the locks began in 1907 with excavation at the lock sites. At Gatun, over 4,500,000 cubic yards of material were removed by blasting and drilling. When construction workers reached the final floor level for the chambers, they removed another 186,000 cubic yards of material by hand. At Pedro Miguel and Miraflores, nearly 4,000,000 cubic yards of material were removed from the lock sites, including 500,000 cubic yards of material that were removed by hand. 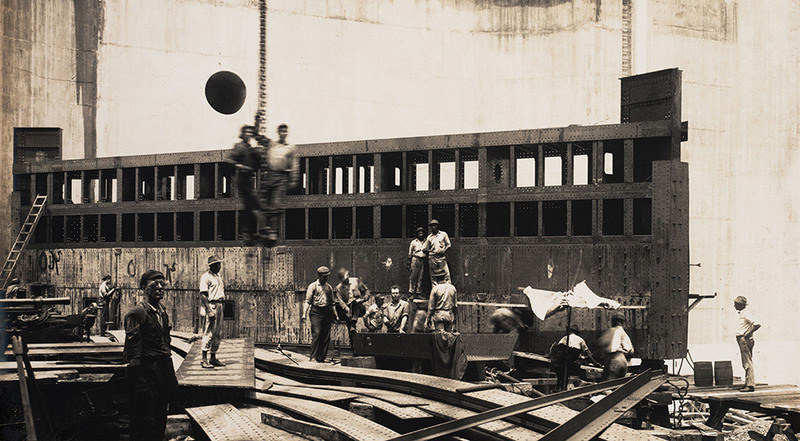 S.S. Ancon in lower Gatun locks, beginning the first official transit of the Canal. 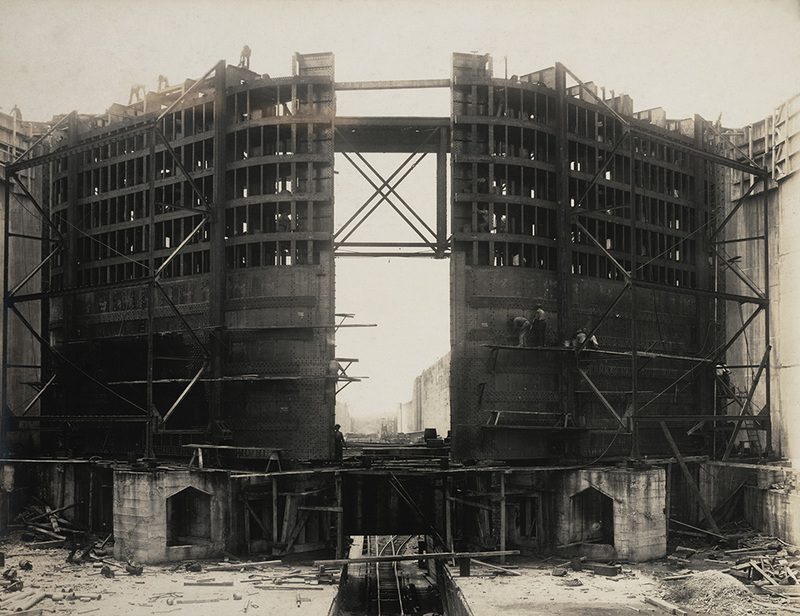 Construction of Gatun upper lock gates, July 1911. 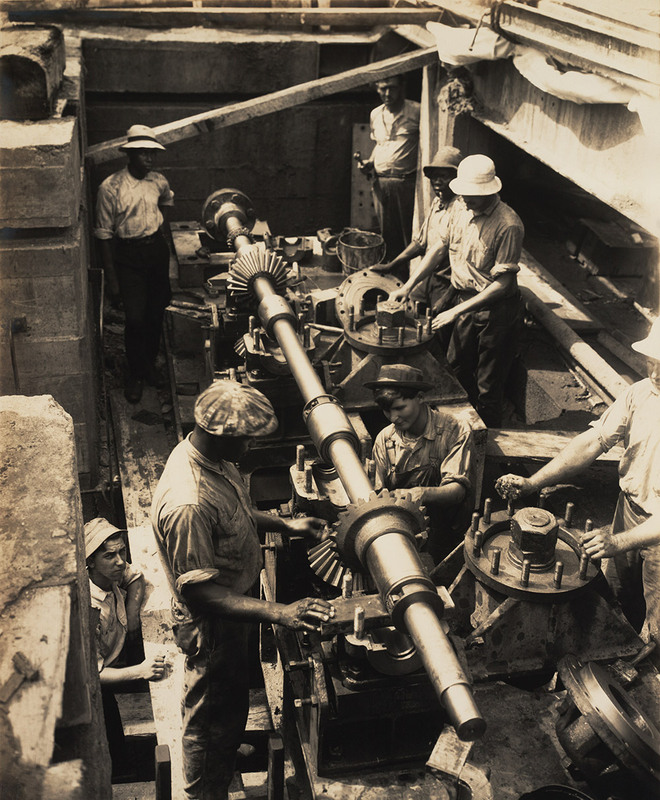 Pouring of concrete began at Gatun on August 24, 1909, at Pedro Miguel on September 1, 1909, and at Miraflores in July 1910. Workers completed concreting by September 1, 1913. 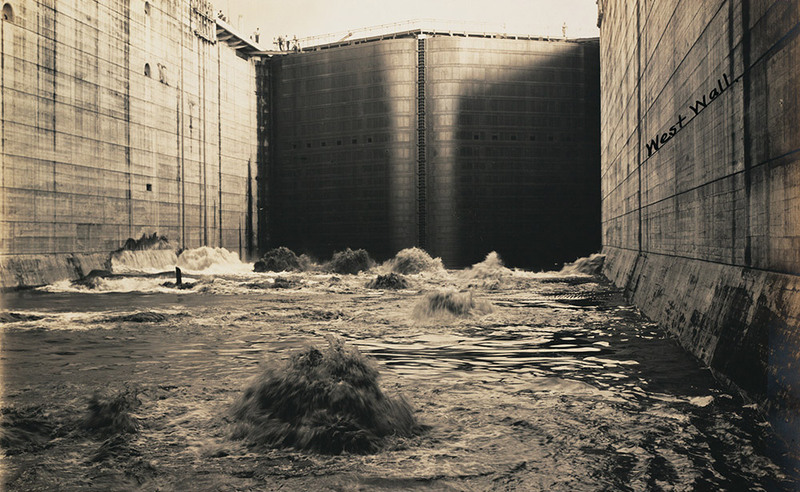 During the four years of construction nearly 4,500,000 cubic yards were poured at the three lock sites. Construction worker hangs precariously over the side of a walkway between gate leaves at Gatun Locks. The Canal lock system contains 46 miter gates that operate by electric power provided by Gatun Dam. When opened, the gates fit into recesses along the chamber walls, allowing the full utilization of the 110-foot width of the chamber. In 1914, nearly 95 percent of oceangoing vessels were less than 600 feet in length, much shorter than the 1,000-foot-long lock chambers. 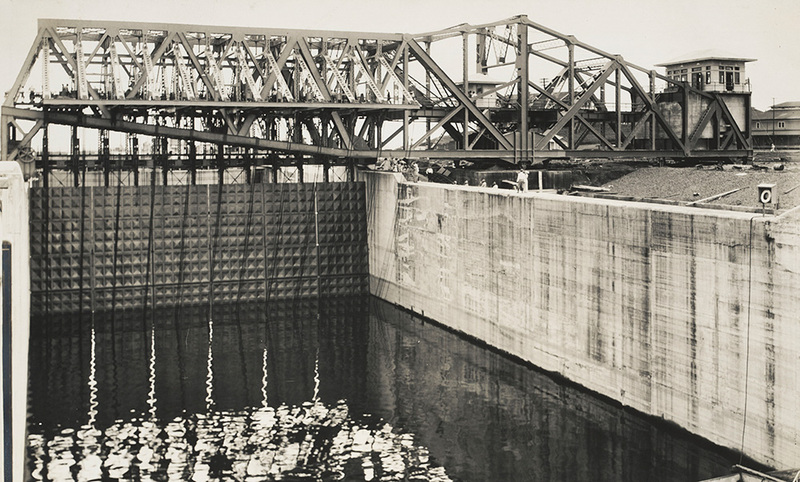 Engineers installed intermediate gates that allowed the use of 400- or 600-foot lockages, minimizing the amount of fresh water used during a transit. 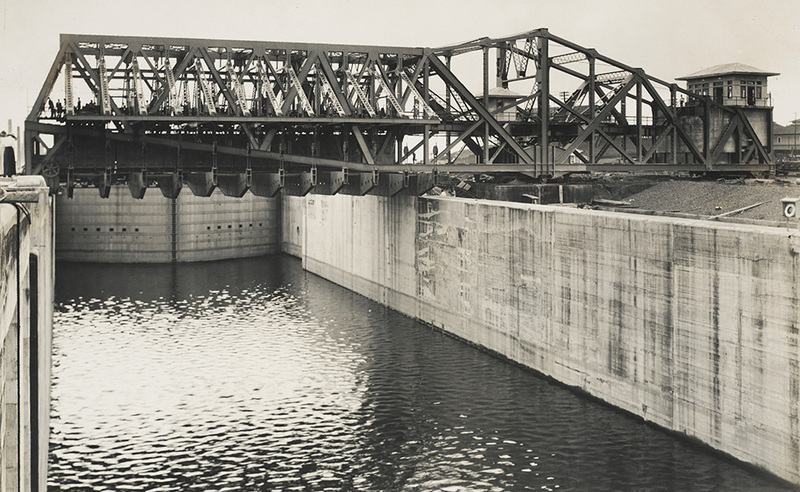 In 1913, after successfully testing the locks on September 26, Culebra Cut was filled with water. 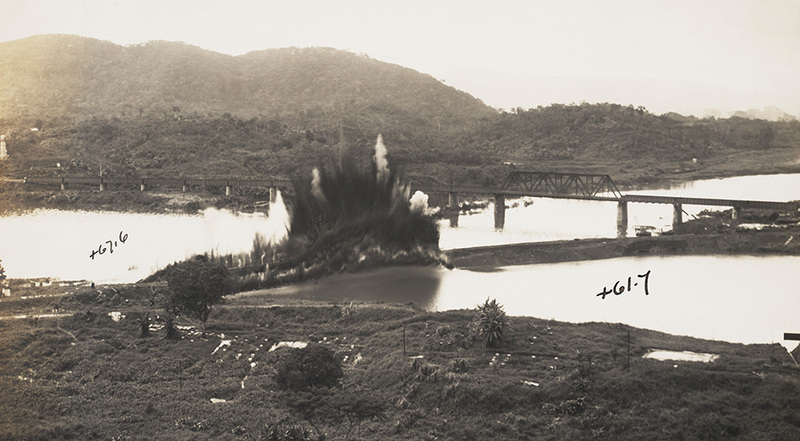 On October 10, the earth dyke at Gamboa was destroyed, joining Gatun Lake with the Culebra Cut and completing the Panama Canal. The S.S. Ancon made the first official transit through the Canal on August 15,1914, though with the outbreak of World War I, the celebration was somewhat subdued. 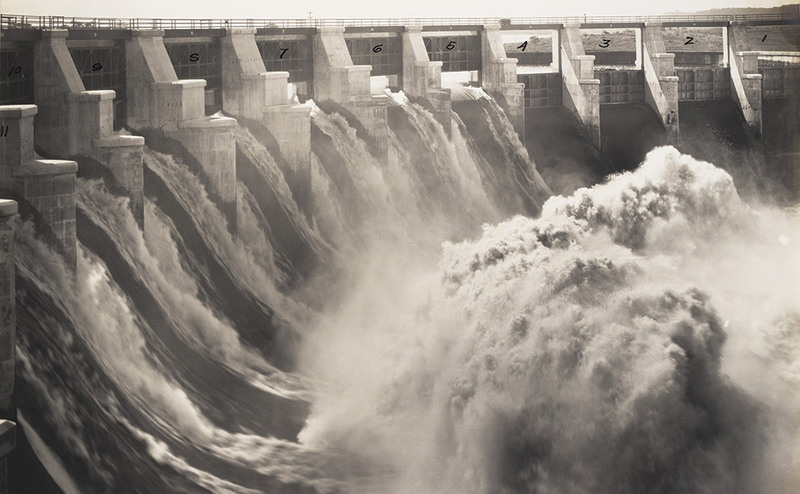 First water entering Miraflores upper lock, October 14, 1913. Testing of emergency dam at Gatun Upper Lock. 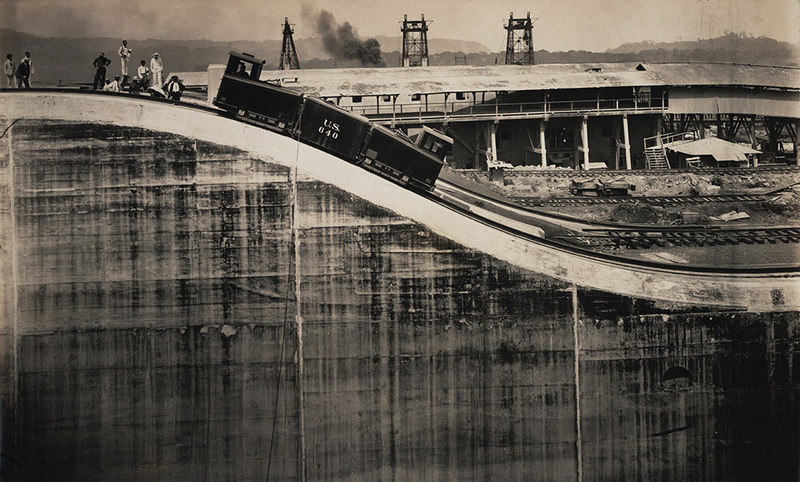 Gatun upper locks with emergency dam in closed position, May 20, 1913. Testing a prototype towing locomotive.